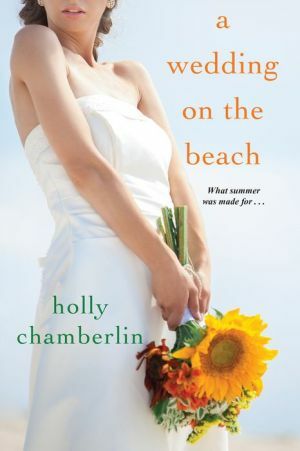 A summer wedding, a college reunion, a gorgeous Maine beach house—it’s the ideal setting for bestselling author Holly Chamberlin’s captivating novel about the connections that shape us, sometimes break our hearts, and forever change our lives . . .
Bess Culpepper has long been sure of two things—that her group of college friends would stay close, and that love is worth the wait. At forty-two, she’s found the right man, and she’s celebrating her upcoming wedding by inviting her best friends to beautiful Kennebunkport. Bess has always been at the helm of these reunions, herding everyone together despite distance and outside commitments. As usual, Marta and Mike journey from their home near New York City, while Chuck and his husband, Dean, travel from Los Angeles. But Allison, half of a devoted couple since college, is making the trip from Chicago without her husband, Chris. None of the others knows the reason for their impending divorce. There are other tensions too. The usually level-headed Marta is conspicuously on edge, and Chuck reveals devastating personal news. As reality encroaches on her dreams of the perfect gathering, Bess begins to second guess her assumptions about friendship and fidelity. If relationships like these, nurtured over decades, can flounder, how can any couple stay committed? Is it possible to truly know the ones we love—or even to predict where one’s own path will lead?